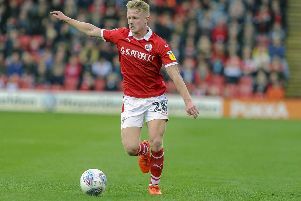 The midfielder arrived at Oakwell in August on a season-long loan from Bundesliga side Hannover 96, linking up again with Reds head coach Daniel Stendel. Bahre has made 34 appearances for the Tykes, scoring one goal, and the club have the option to make the transfer permanent in the summer. The 23-year-old said: "I want to stay but I need to concentrate on our season and talk at the end of the season. "I can't say anything yet, I want to stay but we will have to see at the end of the season. "Our team, I feel so comfortable here, we have so much quality. "The people are nice, I like to be here and the supporters are incredible. Even on long journeys away we have so many people supporting us." One of the reasons for Bahre swapping Germany for England was Stendel, with the pair working together at Hannover. "He gives me the opportunity to come here and get time on the pitch. He is an important person for me," Bahre said. 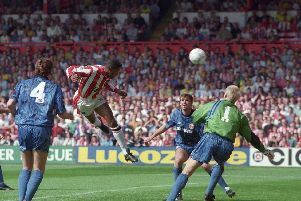 Bahre needed time to adapt to the rigours of English football. But the German has become a key player in a Barnsley squad that are pushing for promotion back to the Championship. The Reds are second in League One, two points above Sunderland, and Bahre is loving the challenge. "If you get the ball you have got no time and you have got one or two men who are trying to tackle you," he added. "A big difference is also the patience, in Germany you have much more patience, you pass from side to side, but in England the matches are much quicker. "For the supporters it is better to watch English football because you could have the feeling that German football is a bit boring. "I have adapted, but it is a thing that you have to evolve from time to time. Of course I need to adapt more but I need to adapt it."